Home to a wide mix of developed and emerging economies, the EMEA bloc continues to be a strategic destination for businesses looking to effectively manage their international operations. It’s no easy task, given the sweeping differences between countries in the European Union alone. Factor in the Middle East and Africa, and there’s a who layer of complexity to contend with. We’re well aware of these challenges, which is why our network is comprised of agencies with a deep understanding of their markets, meaning you’ll benefit from an informed travel program that is customized to your particular needs. 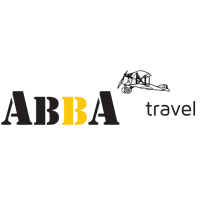 ABBA Travel is a Ltd company established in 1990, initially offering mainly individual air travel, gradually establishing itself as mainly Business Travel Services provider. After 2001, international companies and organizations began establishing more of their businesses in Serbia and the surrounding markets. At that time, ABBA Travel focused mainly on servicing multinational customers and local and regional companies in business travel. ABBA Travel operates under the leadership of Antonije Babacev, the travel staff comprises of two reservation and ticketing staff with a further three staff dedicated to booking hotels and MICE arrangements. Main services include: Air travel, hotel accommodation, transfers, and MICE. Responsible leadership to sustain all operations focusing on client satisfaction. Collective knowledge for safe, comfortable and cost-efficient journeys. Dedicated agents for speedy and attentive assistance for all travel related needs. 30 years of experience and well-deserved market reputation. Prepared to overcome challenges and find smart solutions. Amsalem operates an ownership and delivery model unique in our industry. 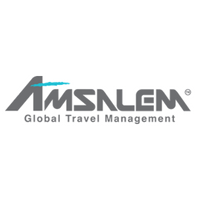 Amsalem provides a different perspective on the management of global travel services. With strategic partners, worldwide offices, global connections, and proprietary technology that delivers broader content, Amsalem continuously evolves, remains competitive, and offers reliable and cost-effective solutions. Amsalem has always been recognized as a progressive challenger in the travel market, expanding on the travel space with high levels of service quality and technological innovation. 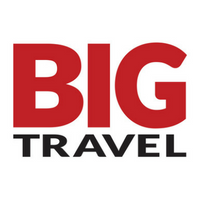 BIG Travel is one of the Nordics largest travel agency chains, covering the countries of Denmark, Finland, Norway, and Sweden. BIG Travel has 30 years’ experience and an extensive range of offerings that include corporate travel, flights, charter travel, adventure travel, cruises, and tours. Group and conference travel are also part of what they do. By bringing together the market’s offering of travel, flights, and hotels in the same place, BIG Travel can offer their clients the best prices and service possible. Irrespective of whether you book your travel online, by telephone, or directly in a travel agency outlet, you will be met with consideration, dedication, and approachability. Traveling with BIG Travel is easy. BTS makes the difference, making sure your requirements are met on the basis of a transparent, customized approach. You decide how you book: offline, online, via mobile, or any hybrid form. Only the best prices and routings apply to your company. BTS looks after the day-to-day management of your travel expenses, with comfort and quality as the main pillars. Strikes? Unforeseen changes? Problems? BTS responds quickly and efficiently. Your designated contact person will solve any problems. 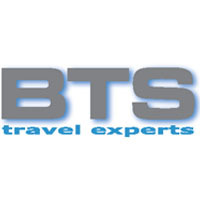 BTS has a team of experienced travel consultants who are geared up to give you and your company assistance and advice. Thanks to its latest technology applications, BTS can offer you a unique and complete service. 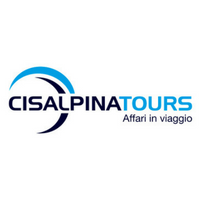 Cisalpina Tours is the leading travel management company (TMC) in the business travel sector in Italy. The company is at the top of national rankings in transaction volumes, sales, territorial coverage, services offered, and client portfolio. Cisalpina's expertise is based on over 40 years of expertise, and they have been operating in the market since 1970. Clarity is a modern, growing, global company, but their heritage spans over 60 years. Clarity's merger with Portman has established the company as one of the industry’s most experienced TMCs, while their cooperative heritage means ethics, equality, and social responsibility are part of their DNA. Clarity combines business travel consultancy with industry leading booking, tracking, and intelligence technology. 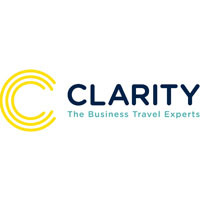 Clarity works with their clients to design quality, bespoke travel solutions that improve productivity, reduce costs, and provide the best service and duty of care for all their clients, regardless of size or location. 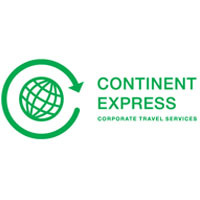 Continent Express is the largest independent travel management company in the Russian Federation and was the first professional travel management service in this market in 1997. From the very beginning, Continent Express has taken a leading role in the development of travel management as a procurement discipline in this country. Since 1997, Continent Express has operated to the same principle, to be client-oriented in everything they do, and to operate not as a traditional travel agent selling travel, but as a buyers’ advocate and partner in the supply chain. 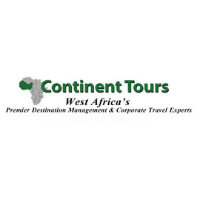 Continent Tours is West Africa’s premier tour operator and destination management company. With offices located in Ghana and Mali, plus satellite offices in several West African countries, Continent Tours is strategically positioned to provide all your ground handling arrangements throughout West Africa. 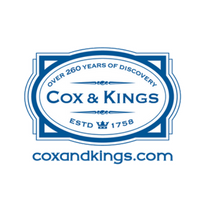 Powered by Cox and Kings, the world’s oldest travel company, Velocity uses 260 years of experience to turn corporate travel into a contemporary technology solution. With engaging, innovative, and entertaining options for all aspects of business, MICE, and bleisure travel, Velocity offers the right fit of solutions for large and small organizations. For clients that require the very best, our comprehensive VIP services are second to none. 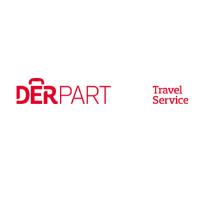 DERPART Travel Service (DTS) provides the customized service required today for managing your corporate travel efficiently and professionally. Our top priority is ensuring smooth travel for you, so you can focus on what’s important. The special feature here: tailor-made support. Instead of a central call center, we are there for you on site – as your DERPARTner. Personal, close, customized – and with access to a global infrastructure that gives you secure processes and top conditions without any overhead. 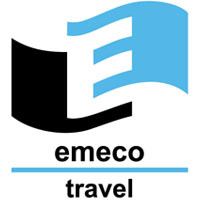 In the 40 years since its inception, Emeco has expanded to become the premier travel organization and destination management corporation in Egypt, offering comprehensive travel services to individuals, groups, and corporations. Emeco aims to provide world-class services and outstanding value for money, backed by its experienced staff and high-technology infrastructure. Emeco is continuously thriving and expanding through its network of worldwide independent associates, all the while striving to ensure flexibility and individualized attention to their clients. 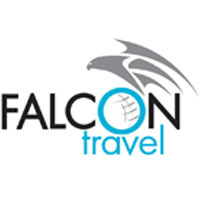 Falcon Travel offers inbound services (destination Qatar), meet & assist services, MICE, corporate travel, and leisure travel services. 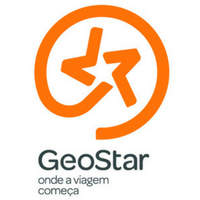 GeoStar, one of the leading TMCs in the travel industry in Portugal, has been recognized, beginning in 2018, as the best TMC in the country with a turnover of 145M€, a network of 36 stores, an internet operation, and three business travel centers in Lisbon, Porto, and Madrid. GeoStar has a high success rate on end to end implementation projects with its clients, meaning high-cost reduction and an increase in savings. Founded in 1865 by entrepreneurs Archibald Gray and Edwin Sandys Dawes, family-owned Gray Dawes is now one of the UK’s leading independent travel and expense management specialists. The company boasts a long and interesting history and this year is celebrating 89 years as a travel management company. 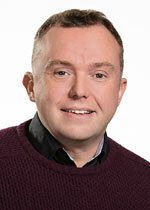 Inntel is the UK’s largest independent meetings management company. Inntel's head office is based just north of London, with account management and satellite offices across the UK. For over 30 years, Inntel has developed client tactical and strategic meetings and event management programs, supported by group and transient travel services. Inntel's reputation is built on integrity, excellence in customer service, and delivering a quality product. Their success is due to the effort they put into understanding organizations' different needs and creating tailor-made solutions. For more than 100 years, Kuoni Travel has offered exceptional, quality service to their customers. Over the past four decades, Kuoni Business Travel has been recognized in the corporate travel industry for its expertise, knowledge, and the quality of its service. 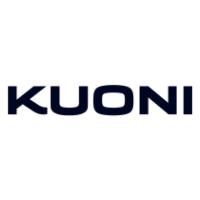 With professional contacts all over the world, future-oriented booking systems, and an experienced team, Kuoni Business Travel (located in Zurich, Geneva, and Lugano) is able to satisfy even the most demanding client requests. 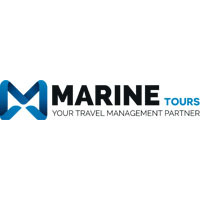 For more than 38 years, Marine Tours has been leading travel management in Southeast Europe and today proudly supports the most well-known corporations and shipping companies, specializing in the coverage of business travel needs, both in marine & offshore travel and corporate business travel. Reliability, transparency, innovation, and cost-effectiveness are the key elements of Marine Tours’ promise to get its clients further. Under the philosophy “Global in mind. Local at heart," Marine Tours combines the 24/7 personal approach of a local partner with the global reach and know-how of a prestigious international organization, to create a level of travel management like no other. NAUTALIA Empresas & Eventos is a company with a wide path and experience in the business travel and events segment. More than 700 people add experience, specialization, and a global vision to an offering of innovative solutions that provide real results to its clients. The main goal of NAUTALIA Empresas & Events is to generate trust and confidence in its clients to help them grow in a sustained and controlled way. 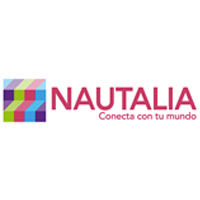 This, together with its association with companies of great international importance and the diversification of products and services, makes NAUTALIA one of the most outstanding companies in the sector. 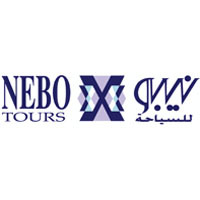 Nebo Tours is Jordan’s hospitality and tourism experts. Over 80 years in travel and hospitality have made them specialists in the field. Nebo Tours has not only served over 300,000 satisfied travelers since its founding, but the company is also the proud owners and operators of 7 hotels in different locations in Jordan, in addition to a travel agency and car rental company. Nebo Tours started off in the 1930s with some of the first hotels in Jordan and Palestine, and have continued our journey to where they are today, the 3rd generation of hospitality professionals. Proske has revolutionized the event landscape, pioneering a strategic approach to inspired live marketing. Proske “makes the complex simple" for strategic meeting management programs (SMMPs) around the globe, always making sure that strategy comes first. Proske specializes in the life science sector with years of experience and thousands of global events under tehir belts, with offices in Munich, Rosenheim, New York, and Raleigh. Passion and innovation are at the core of everything they do and how everything here at Proske starts. Selectour offers you a new look at your business trips by developing unique and innovative solutions that adapt to each client. Selectour is committed to optimizing all key phases related to the organization of your business trips. Selectour combines a perfect knowledge of local particularities with a strong purchasing power that makes the difference. You will benefit from our expertise and the assurance of a more flexible, more responsive, and therefore more efficient service. 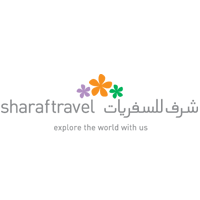 Sharaf Travel Services LLC was established in 1991 in the United Arab Emirates and has progressed to a position as one of the top 10 travel companies in that country. Currently, Sharaf Travel has five locations in the Emirates of Dubai, and one in each of the Emirates of Sharjah and Abu Dhabi, and one office in Muscat, Oman. Sharaf Travel understands the needs of the corporate business traveler and is dedicated to servicing and satisfying every type of traveler. 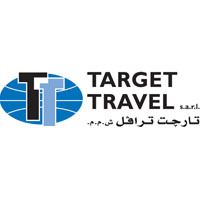 Target Travel was established in 1989 by Alexander Hajjar, a tourism and hospitality expert. 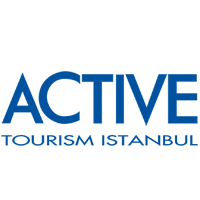 It has been operating in the Lebanese market ever since and offers travel services for leisure and business travelers (tickets, hotels, car rentals, meetings, events, cruises), as well as inbound and outbound tours. Target Travel benefits from excellent contacts with airlines, hotels, and other tourism suppliers operating in the area. The New Standard of Business Meetings is a Ukrainian business travel operator. New Standard has a highly professional team which consists of more than 80 specialists. 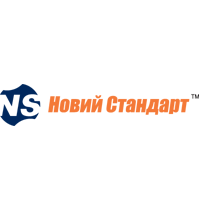 New Standard serves more than 30 corporate clients, among which are primary players in the IT, pharmaceutical, and agricultural markets in Ukraine. New Standard is engaged in a comprehensive solution of corporate objectives related to business travel and events, both in Ukraine and abroad. The company offers a unique business model based on three of their important resources: values, people, and technology. New Standard's priorities are development, innovation, a responsible approach, and customer satisfaction. 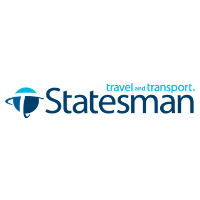 Travel and Transport Statesman is a leading London-based TMC for international organizations who insist on service, speed, and simplicity across their entire travel program, online and offline. By combining proprietary technology and global buying power with delightful service from expert teams, Travel and Transport Statesman lowers fares, boosts traveler happiness, and drives real results. Usit Colours entered the Bulgarian market in 2002. Usit Colours focuses on organizing youth exchange programs and negotiating and offering special prices on airline tickets for students, youth, and teachers (SATA tickets). The company has progressed over the years together with its customers of youth programs, most of which, with age and career development, already have their specific travel needs. 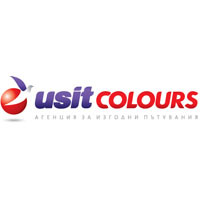 By opening more offices across Bulgaria, Usit Colours began providing tourism services for leisure and personal travel. Usit Colours has expanded its portfolio to include airline tickets, without limitation to the type of travelers; holidays at home and abroad; cruises; hotel accommodation; train tickets; insurance; and other ancillary services. 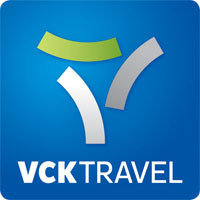 VCK Travel B.V. VCK Holding B.V., established in 1915, owns a group of Dutch companies which are divided into logistics (under the names All Inn Logistics, VCK Logistics, VCK Air and Waterland) and VCK Travel. VCK Travel is the third largest business travel agent in the Dutch market with a business mix of 50% corporate travel and 20% marine and crew travel. VCK Travel services both a large number of commercial corporations as well as numerous government organizations. Whether in The Netherlands or abroad, travelers want to be able to rely on a partner with international connections, the best possible rates, the lowest possible operational costs, and the best available service. Weco Travel was established in Poland in 1992. Thanks to its professional approach and quality of services, Weco Travel is among the leaders in the Polish corporate travel agencies market. Weco Travel is a travel agent and business partner of large, transnational corporations and Polish companies, offering a wide range of services, knowledge, and experience, adjusting its service to their needs and expectations. Weco Travel is a subsidiary of Danish company Weco Transport, committed to the comprehensive organization of business travels and air cargo services. Also at the disposal of its clients are the Weco DSB offices in Scandinavian countries, Poland, Czech Republic, Romania, and Hungary. 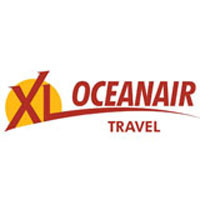 Established over 30 years ago, XL Oceanair Travel is one of South Africa’s leading travel management companies, with branches in Johannesburg, Durban, and Cape Town. As a subsidiary of the Johannesburg Stock Exchange-listed Seardel Investment Group, the company maintains its prominent position due to the expertise of its management, the quality and dedication of its staff, its unique application of travel technology, and consistency in building innovative products for a growing customer base of "blue chip" multinational accounts.